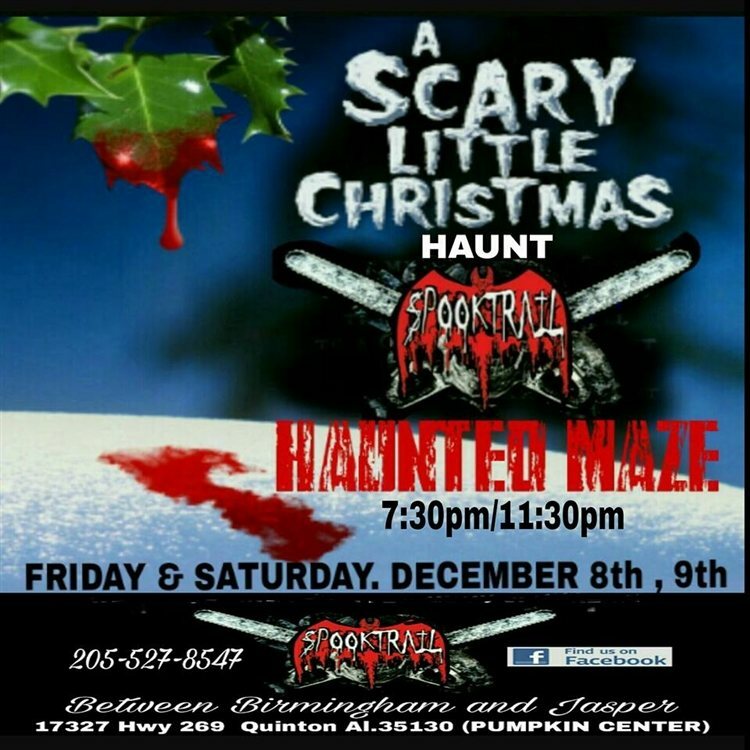 Spooktrail Presents 'A Scary Little Christmas' Haunt & Food Drive this December! November 14, 2017 By Chelsea T.
Are You Ready for the Holiday Horror that Awaits?! Update: This Event Has Been Moved to Saturday, December 16th - click here for more details. Put a terrifying twist on your holiday celebrations this year by visiting Spooktrail in Quinton as they present 'A Scary Little Christmas!' The event will take place on December 8th and 9th from 7:30-11:00 PM and will double as a food drive. The event will feature a Haunted Christmas Maze that is over a quarter-mile long and outdoors and through the woods inside an Ole Junkyard! This event is not recommended for children and isn't for the faint of heart! Tickets are $15 per person, or $10 with the donation of a non-perishable canned food item. What better way to enjoy some scares than to support a great cause at the same time? Grab some of your bravest friends and take on the terror together this holiday season! Click here to visit Spooktrail's website for more information!